This is a lesson to oneself. Do not let your expectations ruin your adventures. 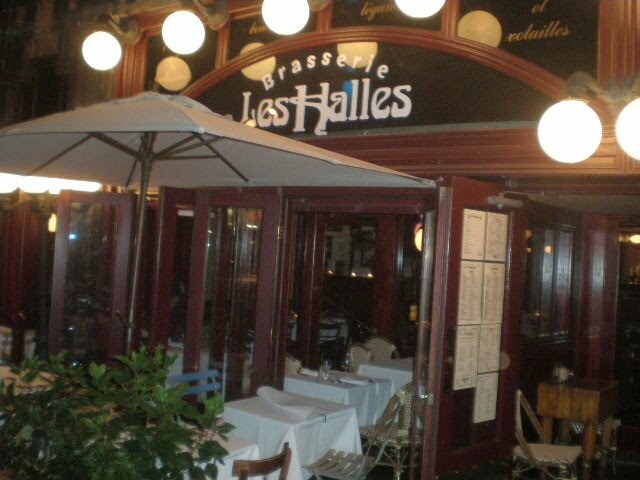 Les Halles because I had been enticipating it with such great lust. I did have enough balls to try the foi gras and it was horrendous. Not because it was prepared incorrectly, it was just not my cup of tea. Okay, let's be truthful here, it was GROSS! 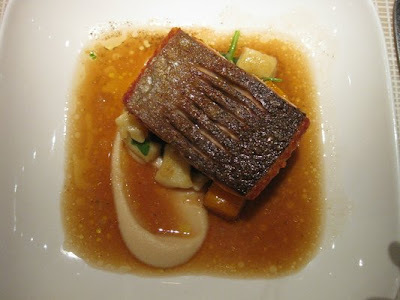 Hated the texture and the taste. I am glad I tried it but will never repeat this taste test again. NEVER! What I should have ordered was the Foi Gras Pate, not the actual liver. I still love Anthony Bourdain, just not my food selection. 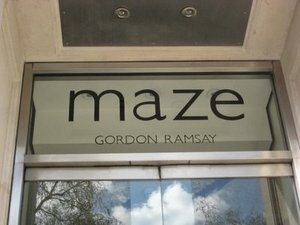 But Gordon Ramsay has captured my heart (or more so my tummy).The Maze was a modern delicate whirlwind of happiness for my taste buds. The coffee, yum, with the raw sugar balls. For brunch, they brought out a tray of different pastries. Heaven! I watch so many of the food network that it was so good to actually taste a "pan seared" fish. 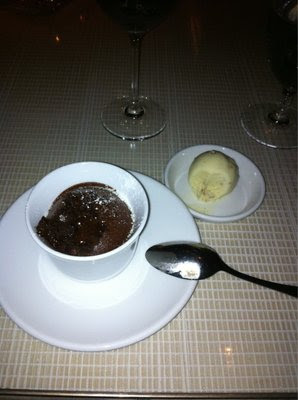 Don't even get me started with the dessert. I left, so thankful that my sister knew me well enough to insist I dine at The Maze. I wasn't going to go. Silly me.